Chinese Premier Li Keqiang at the third China-Central/Eastern European (CEE) summit, 2014. A contribution by Tamas Matura (ESSCA Budapest). Even though the People’s Republic of China (PRC) and most Central and Eastern European (CEE) countries established diplomatic relations as soon as 1949, the Cold War made them drift away from each other. Only the last decade has brought new momentum to the bilateral relations between the two sides, thanks to common political and economic interests. 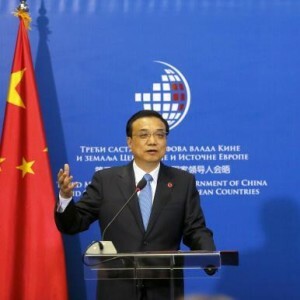 When China launched its new cooperation programme with Central and Eastern European countries, it also invigorated the research on the relations between the PRC and the CEE region: economic and political aspects, as well as the potential of the relation have started to raise the interest of academics, PhD students and journalists. The creation of the Central and Eastern European Centre for Asian Studies (CEECAS) also gives evidence to this renewed interest. One timely way of assessing relations between the CEE region and the PRC is to study the perception of China among the next generation of CEE leaders. In a paper presented at the 2nd Academic Conference on China – Central and Eastern Europe Cross -Cultural Dialogue, Education and Business, which was held in Krakow, Poland from 22 to 24 September 2015, Ágnes Szunomár from the Hungarian Academy of Sciences and myself discussed the results of an original online public opinion survey among university students of the so-called Visegrád Group, or ‘V4 countries’: the Czech Republic, Hungary, Poland and Slovakia. Our research was based on the assumption that high-level political relations have an impact on the perceptions of university students, with better general political relations leading to better understanding and acceptance among this sample population. Furthermore we expected a positive correlation between the level and depth of economic cooperation between China and certain CEE countries and the attitude of university students toward China. Differences are small when we compare individual CEE countries with each other, although the Czech Republic and Slovakia are somewhat more critical, while Poland and Hungary are a bit more tolerant towards China. 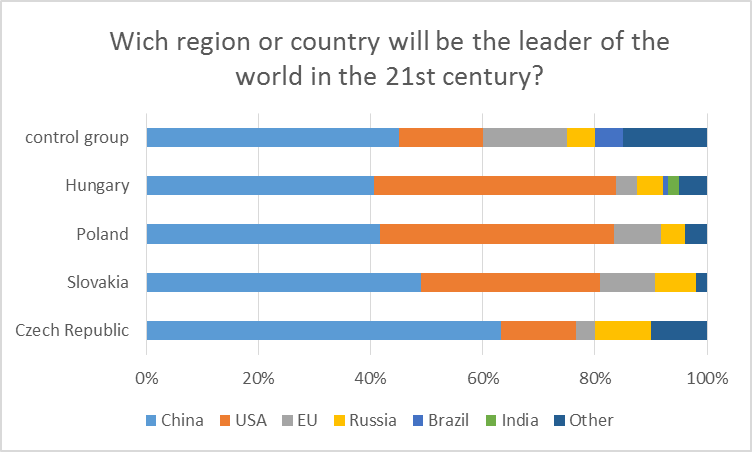 Surprisingly Czech and Slovak students are the most certain about Chinese leadership in the 21st century, while Hungarians and Poles give an equal chance to Chinese and American supremacy. The relative neutrality of students might be the consequence of the huge geographic and cultural distance between Central Europe and China, and of the novelty of the 16+1 cooperation. It is also important to note that Chinese soft power is weak in the region, Confucius Institutes barely reach out to students. Of course, it would be desirable to conduct a nationwide, fully representative public opinion survey on China in all V4 or even all 16 CEE countries. With the growing cooperation between the region and Beijing it will become increasingly relevant to understand what CEE societies think about China. Politicians should be aware of the mindset of their respective nations while pursuing ever closer relations with China. Needless to say, however, such an endeavour requires significant financial and institutional support. In the upcoming years it is our goal to find the necessary resources to conduct regional surveys about China. This entry was posted in Global & International and tagged Central and Eastern Europe, China. Bookmark the permalink. Next: A voice that will be missed.